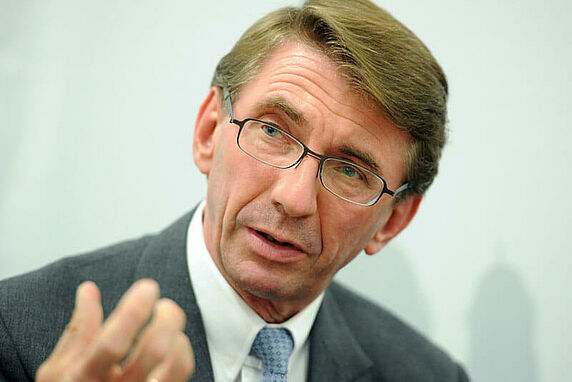 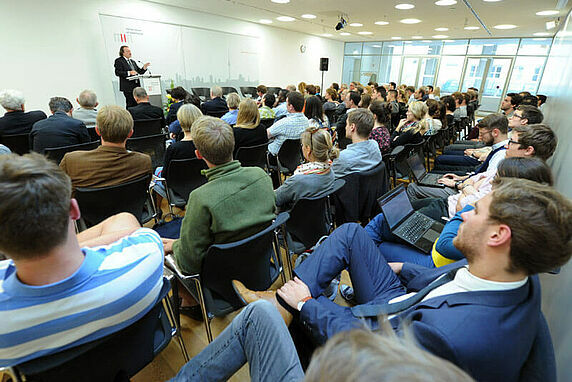 Tradition and innovation in German higher education. 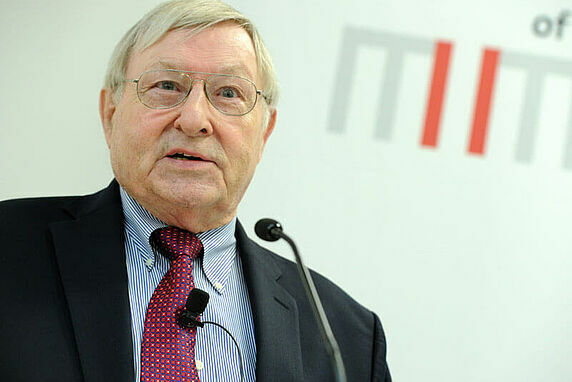 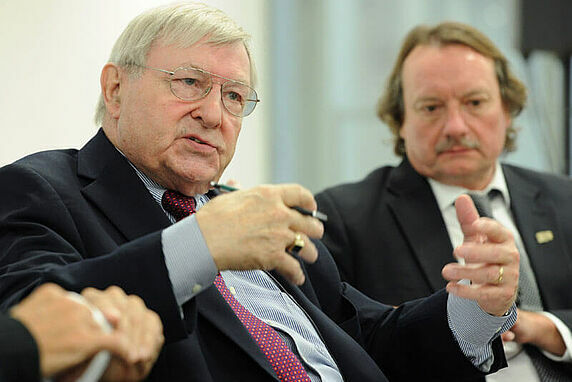 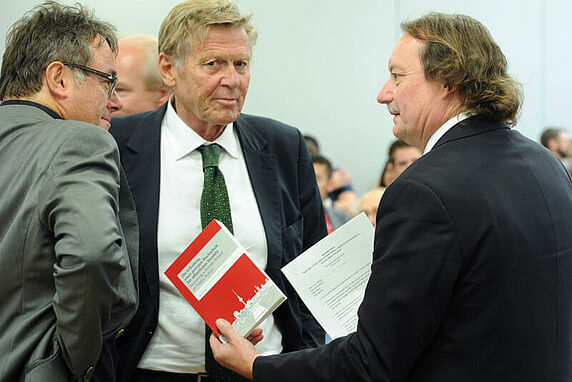 Hans N. Weiler, Emeritus Professor of Education and Political Science at Stanford University and past-President of Viadrina University Frankfurt/Oder, who observed the Hertie School's foundation phase at close range, put down on paper the School's genesis in his essay, Die Erfindung einer privaten Hochschule für öffentliches Handeln | Inventing a Private School of Public Policy. 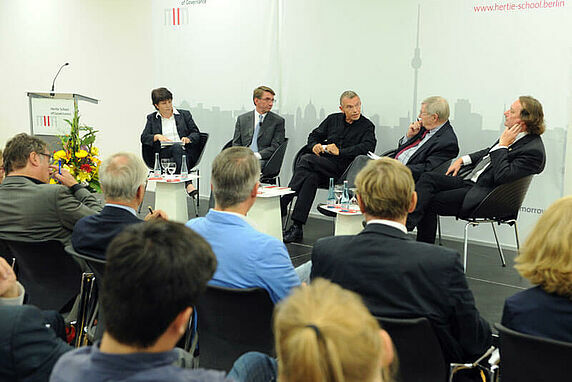 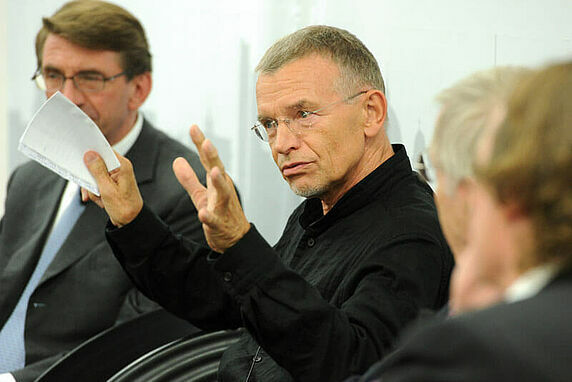 After a presentation of his main findings on 8 September, Hans N. Weiler was joined on the panel by Frank Mattern, Director of McKinsey&Co and Chairman of the Hertie School’s board of trustees, Klaus Hurrelmann, Professor of Public Health and Education at the Hertie School, Helmut K. Anheier, Dean and President of the Hertie School, and Ursula Weidenfeld, journalist and past Board member, who also moderated the discussion. 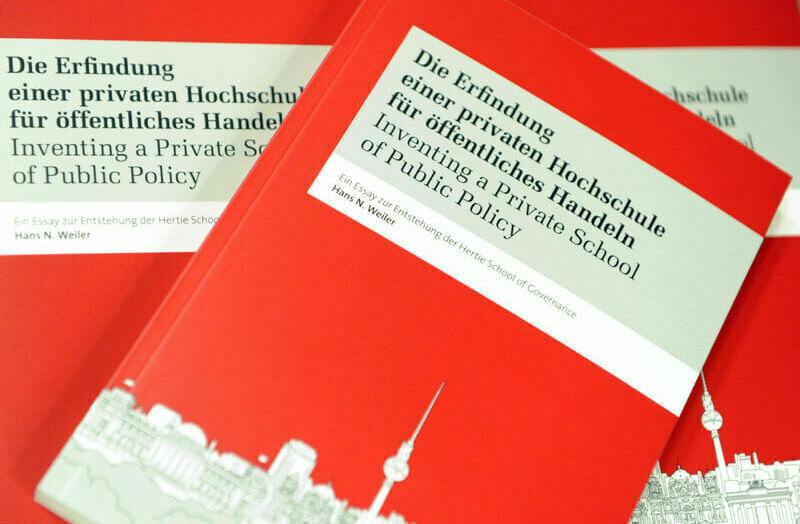 The essay Die Erfindung einer privaten Hochschule für öffentliches Handeln | Inventing a Private School of Public Policy by Hans N. Weiler is now available at your local bookstore. 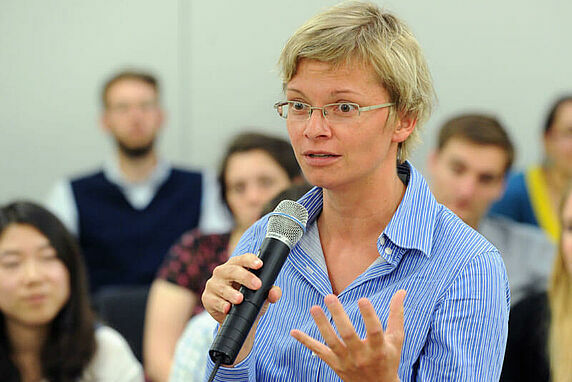 Ursula Weidenfeld, journalist and past Board member.